Rail is crucial to the region’s progress, but management is often haphazard. 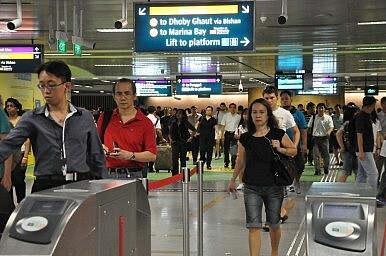 What do train commuters in Singapore and Manila have in common? They are increasingly exasperated over the failure of their respective governments to ease the daily hardships involved in riding the trains. What is the main issue plaguing the high-speed train projects connecting China, Laos, and Thailand? They could potentially bankrupt both Laos and Thailand. Frustrated by the frequent disruption in train service, Metro Manila residents have dared public officials to ride the dilapidated trains and suffer what the general public experience everyday. The transportation secretary responded to the challenge but many were not amused that he rode the train on a slow hour in the afternoon and went straight to the coach reserved for women and the elderly. But aside from making the train ride more comfortable, the safety of commuters is also a priority concern. Last month, a train derailed, injuring scores of passengers. Then there are almost daily reports of irregularities, delays, and other technical glitches. Commuters have also noted the deteriorating conditions of stations and the sloppy maintenance of train coaches. Recently, train service was suspended when rains flooded an elevated railway track. Aware of the rising public dissatisfaction, the government has vowed to buy more coaches to address congestion and to reduce the waiting time of passengers during rush hour. Authorities also placed coolers and tents in stations to lessen the discomfort of commuters. But these seem unlikely to quell the public anger. Meanwhile, the Singapore government is trying to find ways to entertain commuters who have been demanding drastic improvements in the city state’s train operations. After assuring the public that additional train capacity will be delivered soon, the government launched a series of “experiments” to make commuters happy, such as allowing buskers to perform in stations, decorating cabins with sports themes, presenting information or “heritage videos,” distributing tissues, and ordering the staff to carry stuffed toy flowers. Some appreciated the effort but others pressed for more substantial initiatives. They also wondered if the additional cost of these experiments – which will last for three months – will be shouldered by the public. The debate continues: Is it better for Singapore to nationalize its train service or should the government allot subsidies for its operations like the generous aid it is giving to other public utilities? Speaking of state investments, Laos and Thailand have approved the construction of high-speed rail lines that will connect their borders to southern China. Admittedly vital to their domestic economies, these infrastructure projects are financially risky. In the case of Laos, there are serious doubts about the ability of the state to absorb the loans it will incur in building the railway. Thailand faced similar criticism when it announced the proposal last year. This led the military government that came to power last May to scrap the rail projects. Interestingly, though, the junta revived them last month, albeit with reduced cost and scope. Meanwhile, some couldn’t understand why the rail line linking the country’s eastern border to China will not pass through Bangkok, the nation’s capital and commercial center. The proposed route would also leave out Chiang Mai, the political base of Thaksin, the country’s exiled former prime minister. Rail is crucial to the region’s progress as they facilitate the movement of peoples and goods across borders. They help create jobs, improve trade, and spark interactions among and within societies. But if managed haphazardly, they could also fuel discontent and worsen the social malaise. Unfortunately, they attract and generate corruption and rent-seeking opportunities. This breeds inefficiency and even bad business practices. At the very least, Southeast Asian countries should aggressively improve the mass transportation systems in their urban centers. Then they should review their railway policies in relation to the overall imperative of building a more cohesive and inclusive economic bloc. Myanmar: A New Pattern of China-Japan Interactions? If Japan and China focus on different rail systems in Myanmar, can their division of labor create a new pattern for cooperation? What Would Southeast Asia Look Like if Every Proposed Railway Was Built?China, Laos to Build $6 Billion Railway by 2020Sihanoukville: A Cambodian City Losing Its ‘Cambodian-ness’Is Vietnam Creeping Into a Succession Crisis?What Does Jokowi’s Win Mean for Indonesia’s Economy?